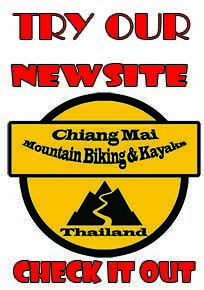 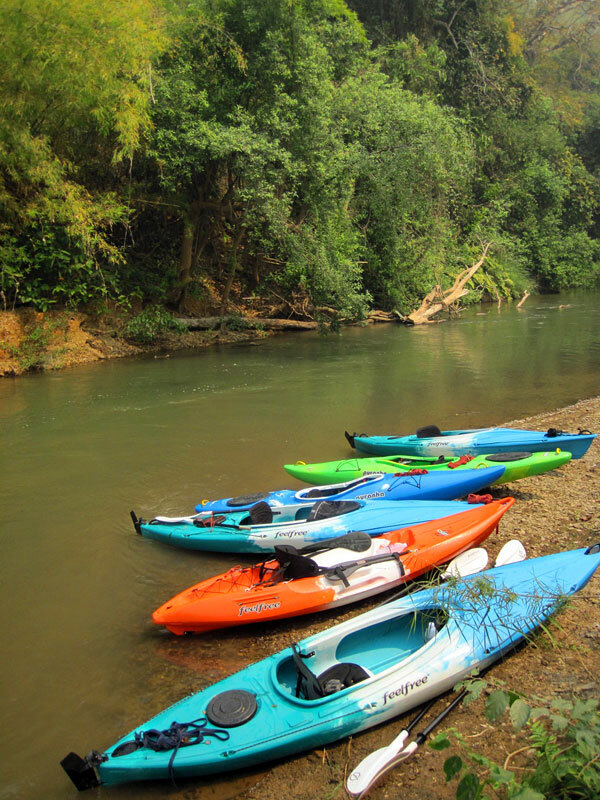 Just 45 minutes south of Chiang mai flows the Mae Wang river. 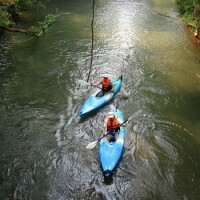 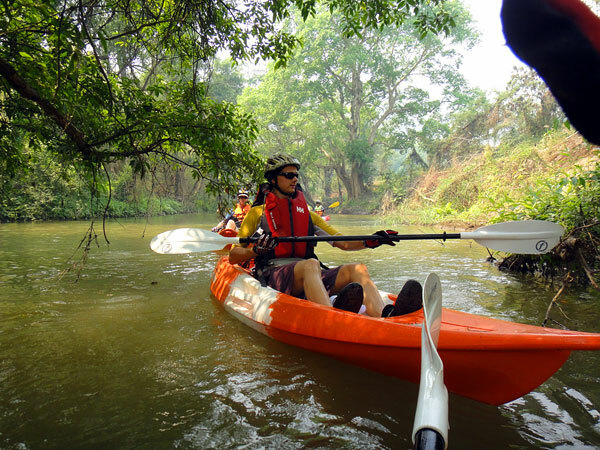 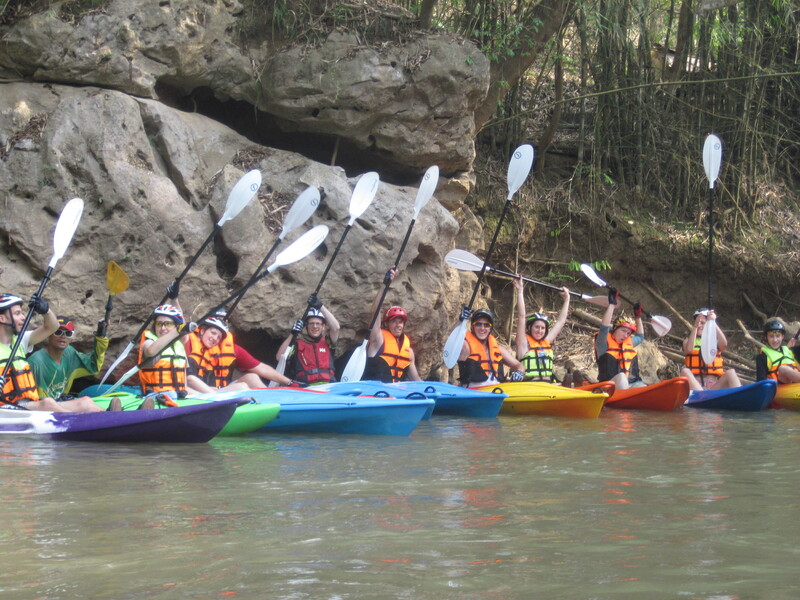 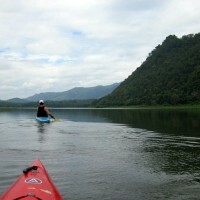 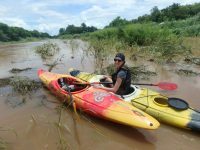 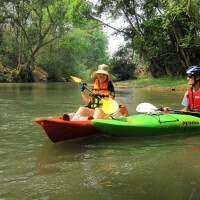 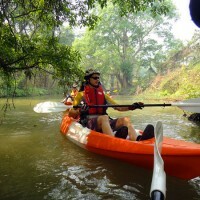 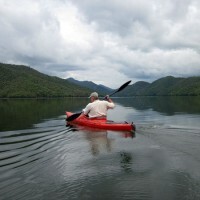 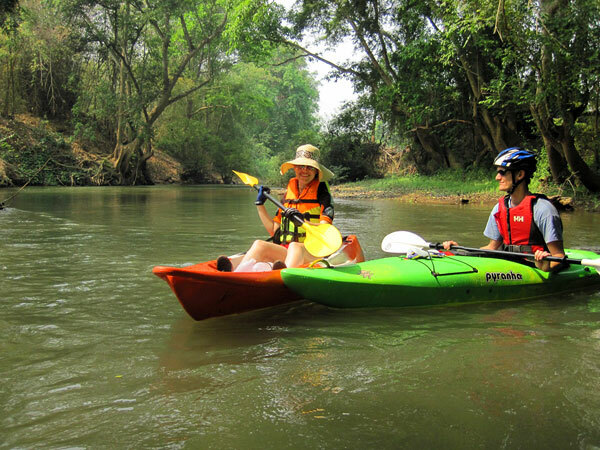 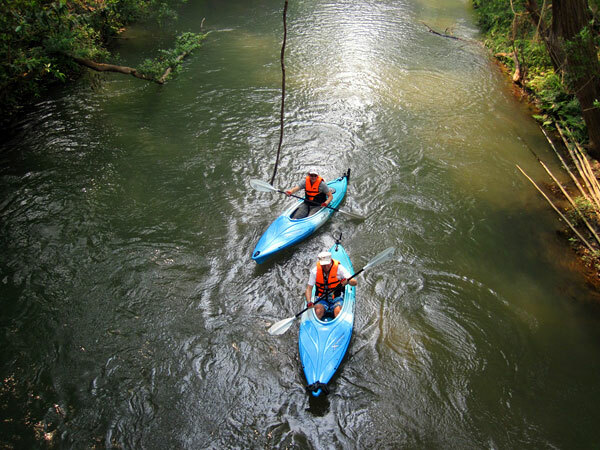 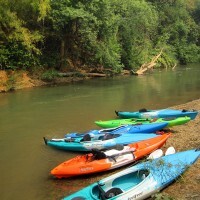 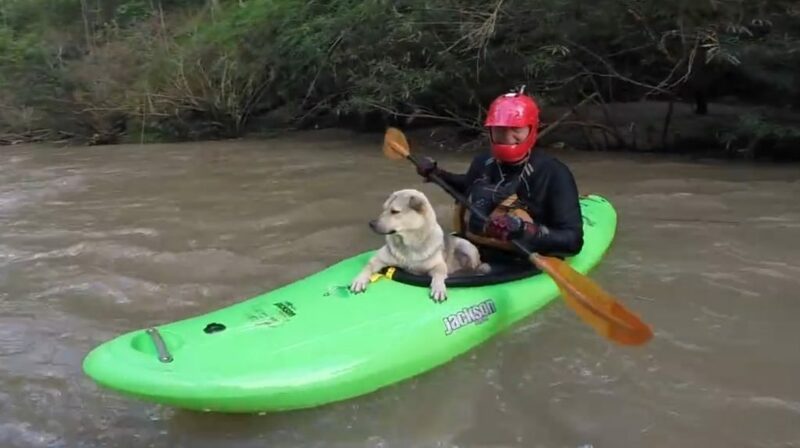 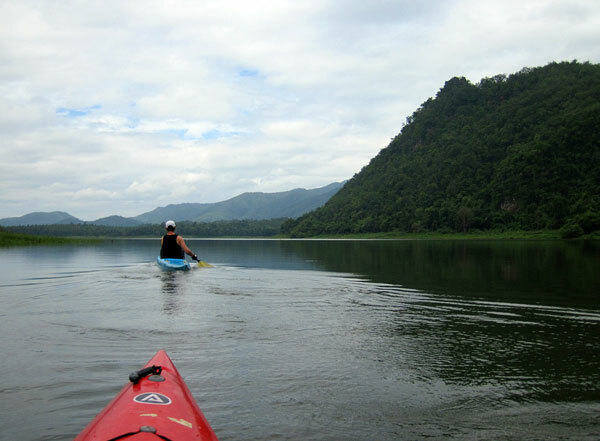 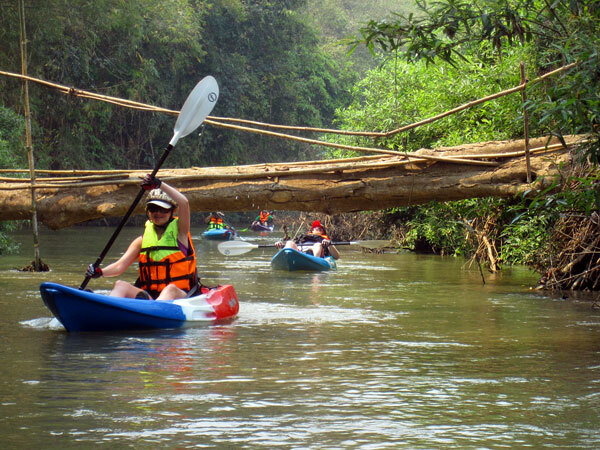 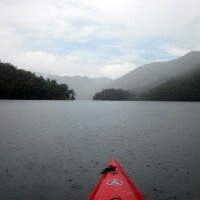 At the start of the rainy season when it fills, kayakers get a taste of great jungle kayaking. 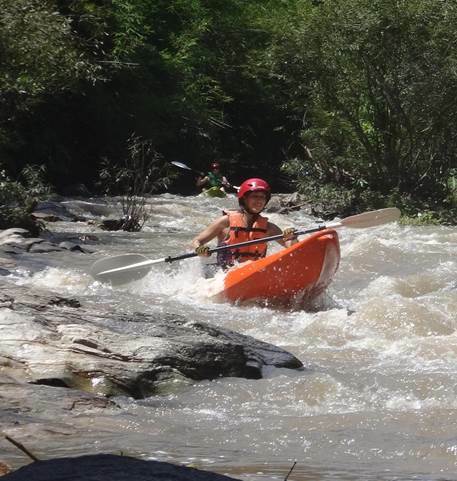 There is a 3 to 4 hr trip that a sports minded and motivated beginner kayaker can handle, class 2 rapids and plenty of jungle to navigate around make this an interesting challenge, a seasoned river kayaker will enjoy the drops and waves and turns, the beginner is learning in best conditions. 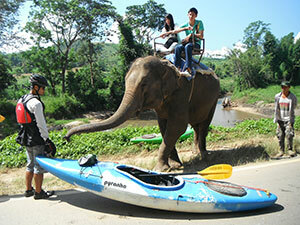 As an added bonus we pass several elephant camps observing them getting bathed in the river as we glide by. 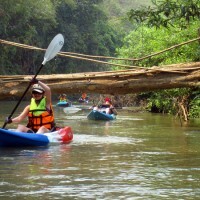 Local bamboo rafts keep us on our toes and challenge our navigational skills. 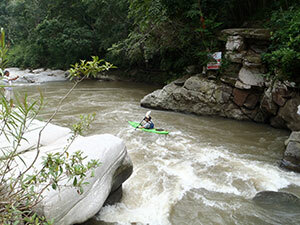 The rapids are a breeze for the seasoned kayaker and a great place to learn for the motivated student. 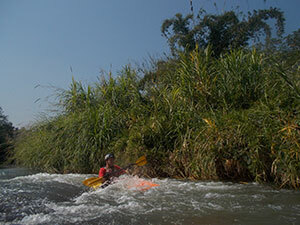 This is one of our more active trips and rest assured we keep a close eye on the water levels for our beginners. 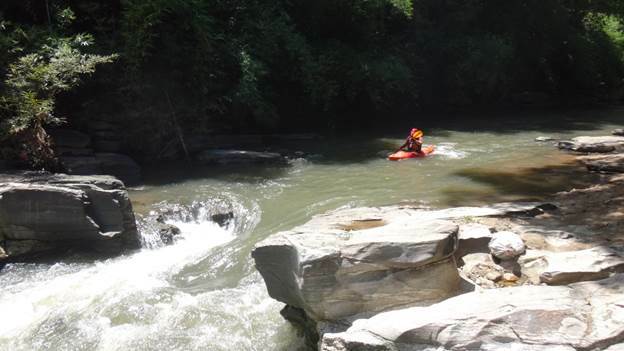 As we come lower on the river as canyon forms and larger rapids for the brave await, still safe but active. 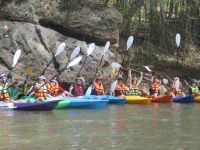 Alexa’s Eco Resort is our exit as the lower part of the Canyon is reserved for experts, rapids here depending on water level range from class 3 to 5 . see Trip E+ The Mae Wang canyon. 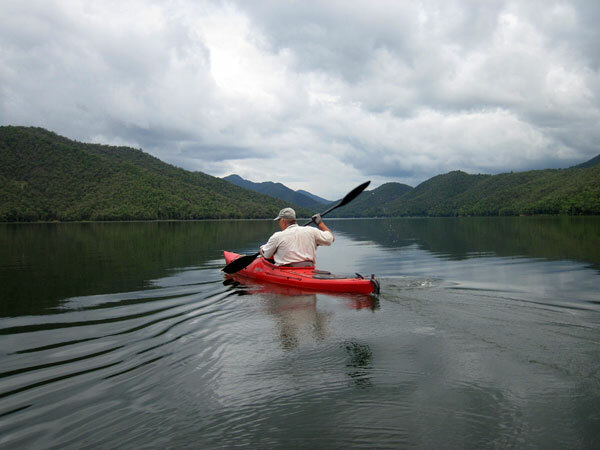 Hotel pickup/Return : 8:30 am – 5:30 pm. 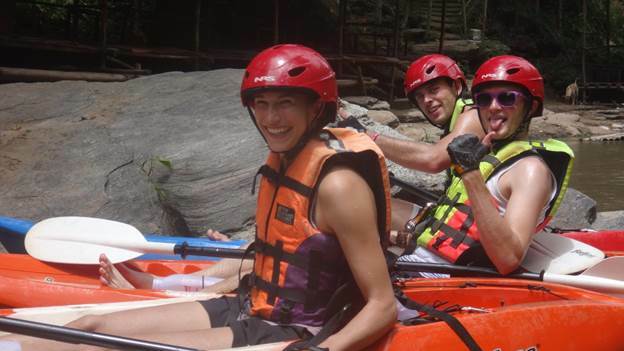 Lessons in basic river kayaking provided, all safety equipment included. 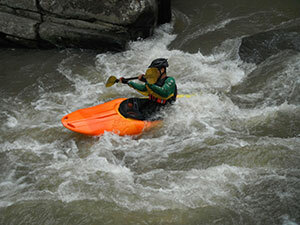 Lunch included , vegertarian ok.
Kayaks: Maneuverable Sit On Tops Kayaks and White Water Kayaks. 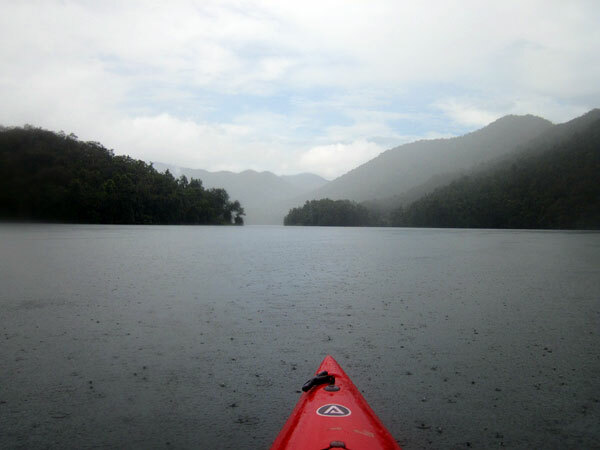 Bring change of clothes, sunscreen and a hat.